For Ladies, Men, Boys and Girls … We have created Luxury Chocolate Gift Hampers for everyone ! 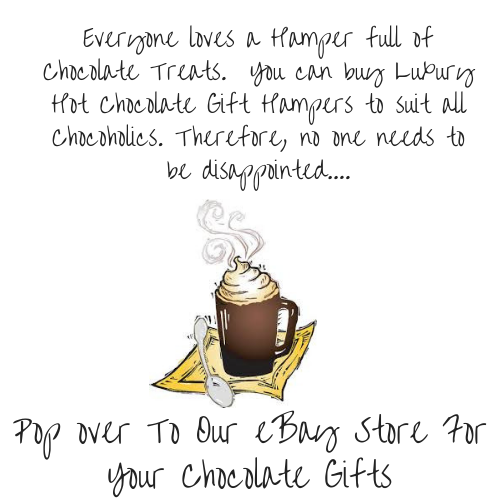 Our Fabulous, Delicious Hot Drinking Chocolate Gift Boxes and Hampers are totally unique! These Gift Boxes will simply spoil any Chocoholic ! Rest assured, we only include the Best Quality Chocolate and Drinking Chocolate Mixes. So, whether they want to COSY UP & FEEL GOOD on a cold winters night, or indulge in front of the T.V on movie night! This is the perfect gift. We have Quirky Belgian Chocolate Spoon Stirrers that are quick and easy to just stir into warm milk for pure indulgence. Oh and it doesn’t end there, we also add a selection of everyone’s favourite Drinking Chocolate Mixes including Dairy Milk, Maltesers & Galaxy ! Finally, we fill the rest of the box with a selection of treats to sprinkle onto their Hot Chocolate such as, Mini marshmallows, Mini fudge pieces and Mini chocolate chunks. Is your mouth watering yet ? So, give someone a warm glow with these simply gorgeous Chocolate Gift Boxes! Anyone of Any Age will just love these Gifts! 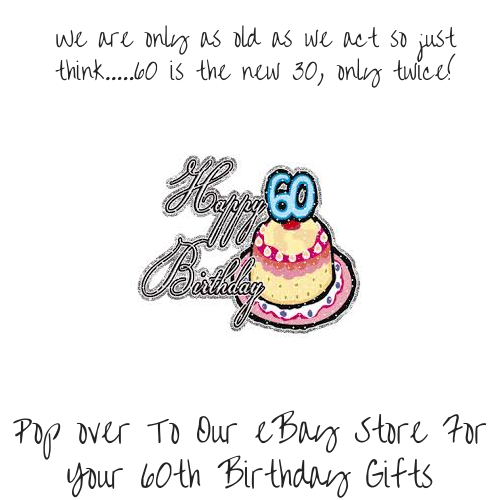 There’s Only Two of Us & Our Day’s Are Not Long Enough To Showcase All Our Gifts On Our Website! 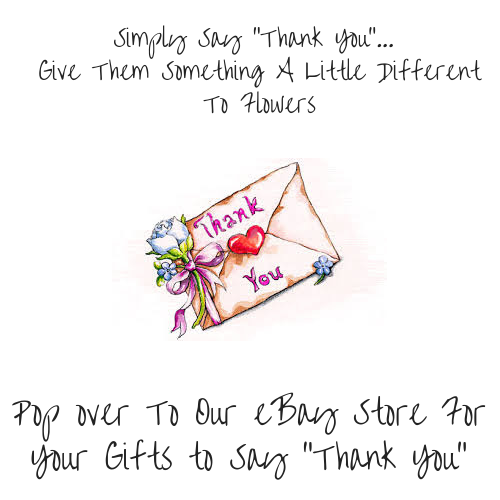 So….Take A Browse In Our eBay Store Where We Have Lots More To Offer You! Ladies, Men, Boys and Girls … We have created Luxury Chocolate Gift Hampers for everyone ! Our Fabulous, Delicious Hot Drinking Chocolate Gift Boxes and Hampers are totally unique! These Gift Boxes will simply spoil any Chocoholic ! Firstly, we only include the best quality chocolate and drinking chocolate mixes. So, whether they want to COSY UP & FEEL GOOD on a cold winters night, or indulge in front of the T.V on movie night! This is the perfect gift. Secondly, we have Belgian Chocolate Spoon Stirrers that are quick and easy to just stir into warm milk for pure indulgence. However, it doesn’t end there, we also add a selection of everyone’s favourite Drinking Chocolate Mixes including Dairy Milk, Maltesers & Galaxy ! So, give someone a warm glow with these simply gorgeous Chocolate Gift Boxes! Anyone of Any Age will just love this Gift! Your Gift Box will arrive gift wrapped in luxury cellophane and finished with a “Chocolate” designed ribbon. 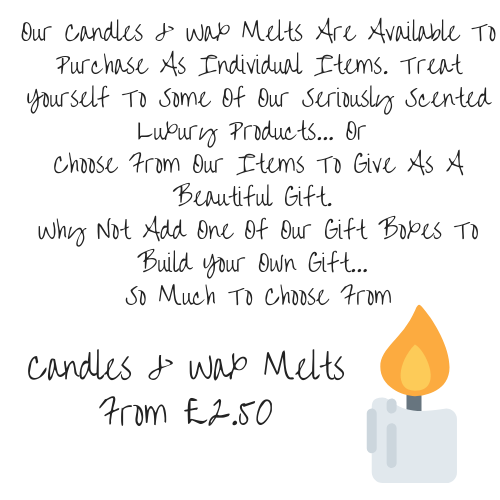 Go, On and Treat Someone Special !